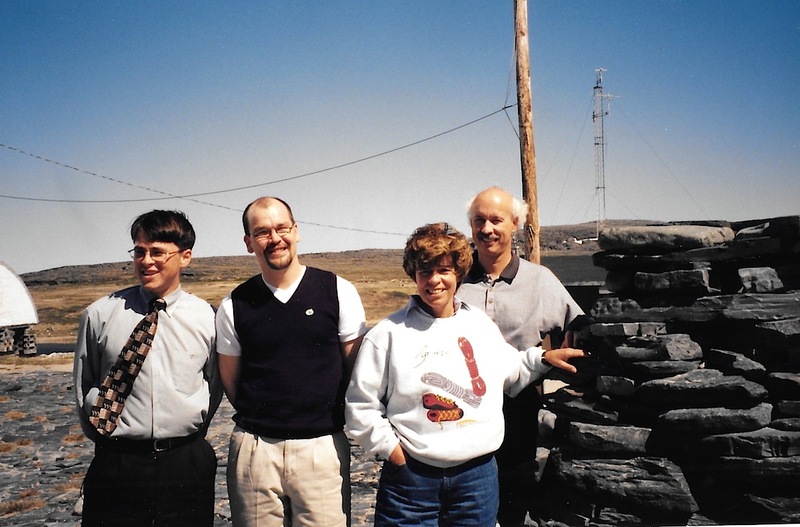 It was an unseasonably warm day in mid-June, 1998, when Louise Beaudoin, then Quebec’s culture and communications minister, visited the Nunavik community of Inukjuak. Temperatures were in the mid-20s, and the officials who were wearing parkas on the early morning flight out of Quebec City peeled them off when we arrived at the Hudson Bay community. The Nunatsiaq News story on the one-day visit of Beaudoin — a prominent Parti Québécois cabinet minister and ardent separatist — must have been interesting, but it can no longer be found in the newspaper’s online archives — and has vanished as well from my computer’s desktop — although a copy surely remains on a back-up disc or printed newspaper somewhere, although I was able to find the photos from that day stored in my files. But Beaudoin’s visit, coming only months after Quebec Premier Lucien Bouchard’s first trip to Nunavik, and the first by any provincial premier since 1984, was memorable because it marked growing interest in Nunavik by Quebec City — an interest that would be tested less than a year later, after the Jan. 1, 1999 avalanche in Kangiqsualujjuaq. Beaudoin’s trip still remains memorable for me on account of what didn’t happen on that beautiful June day. During meetings in Inukjuak, Nunavik’s beleaguered Aboriginal broadcasting company, Taqramiut Nipingat Inc., said it needed more money from Quebec. But over the past five years, TNI’s annual budget from Heritage Canada had dropped from $1.3 million to $900,000. 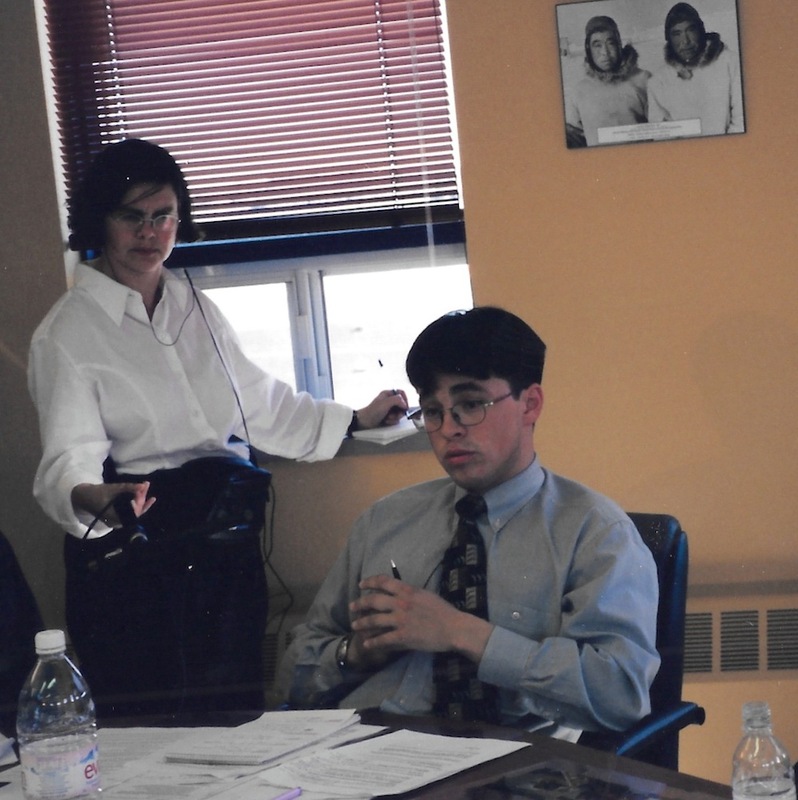 And debts incurred from TNI’s brief period as an internet provider — the first in Nunavik — also contributed to the broadcaster’s dire financial straits in 1998. TNI planned to recover some of these losses by completely closing its well-equipped television studio in Salluit. Nunavik’s Avataq Cultural Institute, based in Inukjuak and Montreal, was also suffering from funding cuts and looking for more provincial money from Beaudoin. Beaudoin’s visit set what will become a standard pattern for visits by all Quebec officials — Nunavik leaders welcomed her as she stepped off the airplane. Then she toured the community. 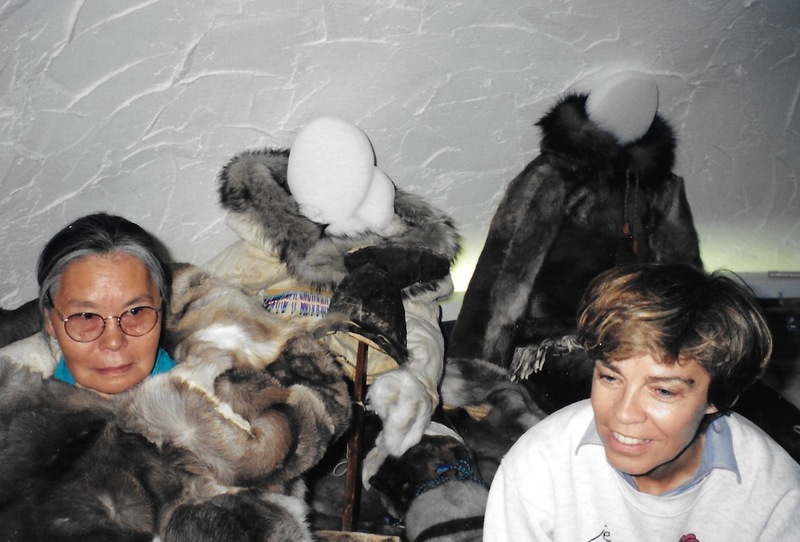 In Inukjuak, this meant visiting the dome-shaped Daniel Weetalukuk museum where elders, in fur garments despite the heat, were on hand to discuss the exhibits. And Beaudoin sampled a country foods lunch and spoke with local officials. As would become standard, the official would receive a gift, such as a carving, he or she would pose for a photo, and then offer something in return, often a photo or painting from a Quebec artist, and pose again for a photo. Also it helped to officially sign a deal for money — even if it had been announced before. But Beaudoin arrived at this stage empty-handed and didn’t sign a deal. 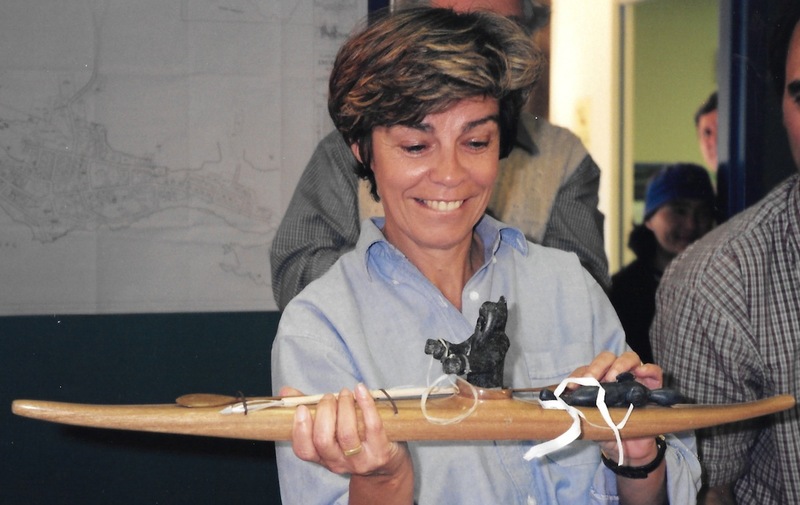 She received an elaborate kayak and a carving, but had nothing to proffer in return, leading to an awkward moment of silence in the municipal boardroom, where everyone was gathered. On the way back to Quebec City, we chatted and I gave her a piece of advice that in the future appeared never to be forgotten: Bring a gift when you visit Nunavik. Beaudoin noted that advice. And afterwards, I saw that even minor Quebec officials on future visits to Nunavik always brought a gift. Like an iceberg continues May 16.